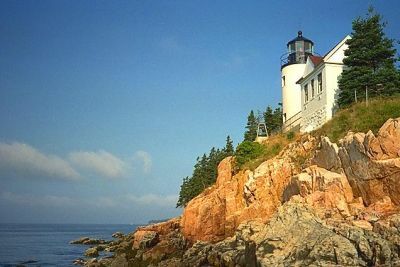 Get to know the coast of Maine. Follow Maine News. Monitor the Maine real estate market. Put our years of coastwise knowledge to work for you. Call us at 800-293-4416. These keywords can only mean one thing! We're in a "BUYER'S MARKET". Good news for real estate BUYERS, bad news for real estate SELLERS. Interest rates continue to drop and there are a lot more sellers than buyers around. All these factors makes for a unique buying opportunity that may or may not last through the summer --high season for real estate sales here along the coast of Maine. Median sales prices for single-family existing homes in Maine edged upward last month while sales of those homes were down over 10 percent. According to the Maine Real Estate Information System, Inc., 891 homes sold during the month of November 2007, a decrease of 10.63 percent from November 2006. Median prices, however, rose 1.62 percent (go figure??). Maine's median existing single-family home price reached $188,000 last month, up from $185,000 last year. The median sales price indicates that half of the homes were sold for more and half sold for less. "Sales are expected to be soft in coming months", said Lawrence Yun, chief economist for the real estate agent trade group, adding however, that sales are being supported by very low mortgage rates. "The problem is that borrowers who need jumbo mortgages or who have credit problems are still facing a tighter lending environment," writes Mike Larson, real estate analyst at Weiss Research. We've compiled a list of coastal Maine waterfront properties that have seen recent and substantial price decreases. Now buyers can quickly scan the entire coastal Maine waterfront marketplace from home or the office. This page puts the buyer on top of the key real estate values available anywhere on or near the coast of Maine. We'll help you locate just the right property and guide you safely and wisely through the negotiation and acquisition process. Put our years of coastwise knowledge to work for you. View all coastal Maine MLS listings.